SILVERMOON. 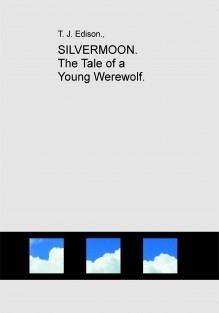 The Tale of a Young Werewolf. Jason Longfellow had just met the prettiest girl he had ever seen, but what he didnt know, was that meeting her would change his whole life, in fact, turn the world, as he knew it, upside down. But then again, there were many things that Jason didnt know. For a start, he would be betrayed by one of his own kind. He wasnt alone in the world. And one day he would marry. All things come to a head when his wife-to-be turns up at his windowsill in the middle of a harsh winter and leads him and his friends on a mission fraught with danger, an event in which he will come to know his real self as he fights to defend those nearest to him in a fierce battle against an unrelenting enemy, a Goblin and Troll horde, in the Welsh mountains, and receives help from an unexpected quarter in a fight to the death.